The best time to wax poetic about your support for new US President Donald Trump is while sitting in a trash can full of ice water. Make America Great Again? 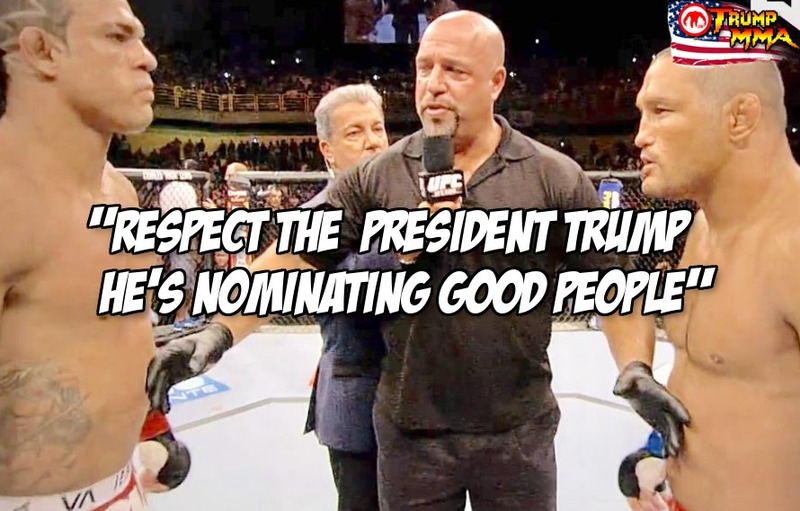 No, UFC middleweight Vitor Belfort wants to make YOU great again through the power of his words. While training for his upcoming fight with Kelvin Gastelum, Belfort held a Q and A on the periscope streaming app that quickly turned into a Trump rally. Belfort has ideas and he has opinions about American politics that he believes you should listen to. The most Belfort of all political speeches was just conducted from the comfort of some dude’s driveway. So listen up as Vitor Belfort sums up Donald Trump’s first week as the most powerful man in the world while sitting in a trash can filled with ice. This is it. This is our new reality.